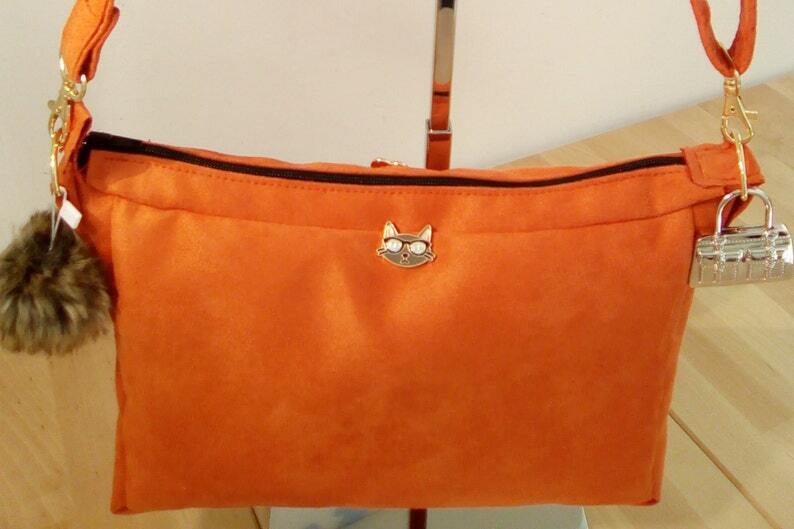 Rectangular shoulder bag, the outside is Suede, inside is also in red suede with contrasting color. Has a zipper on top. Inside it has a large pocket and a carabiner for keys. Suede shoulder strap is adjustable. A lock with my brand "Isabelle gift" and tassel adorn the front of the bag. Very light bag with a good capacity.